Looking for a new profession? Try lighthouse keeper! Before GPS, satellite or automation, the lighthouse keeper was the last safeguard against maritime disaster. Expected to keep the tower’s light lit and maintained through the night, lighthouse keepers are now extremely rare — gone the way of ice-block deliveries and elevator and switchboard operators. Yet the dramatics of running a lighthouse — real or imagined — still captivates many of us. 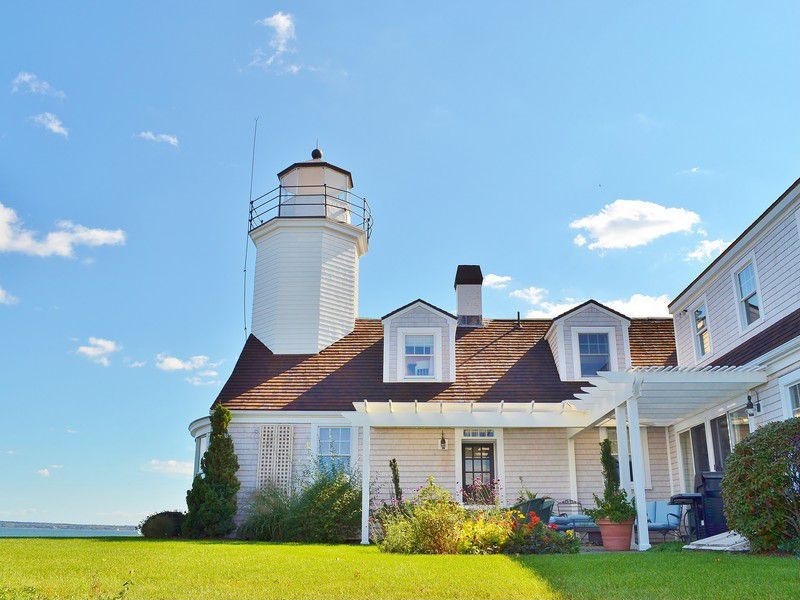 Parks have lighthouses tours, waterfront homes boast views of the structures and some people choose to incorporate the look of a lighthouse into their homes. A few others have even purchased lighthouses from the U.S. government. Care for your own lighthouse? We’re sharing a few currently on the market — some real lighthouses and some replicas — in honor of National Lighthouse Day.